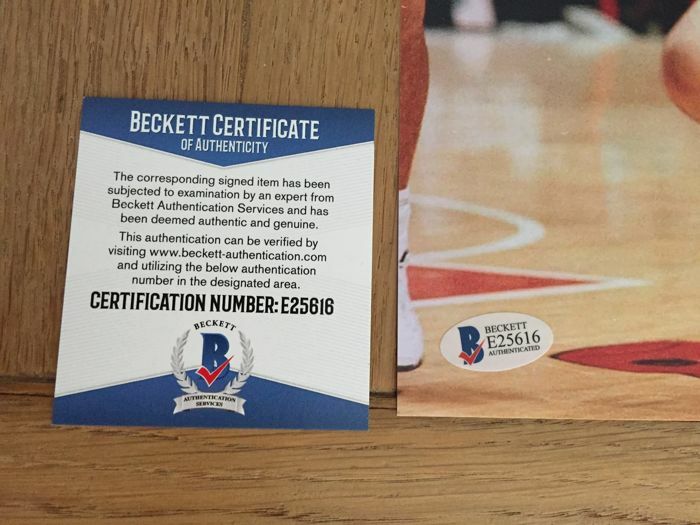 This is a must have item for NBA fans from Europe! 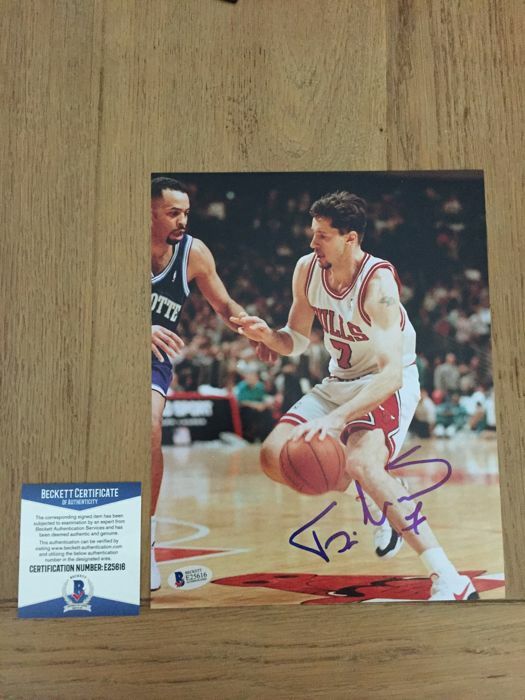 Photo measures 8" x 10" (20x25 cm) in size and has been hand-signed in blue felt tip pen by Toni Kukoc. 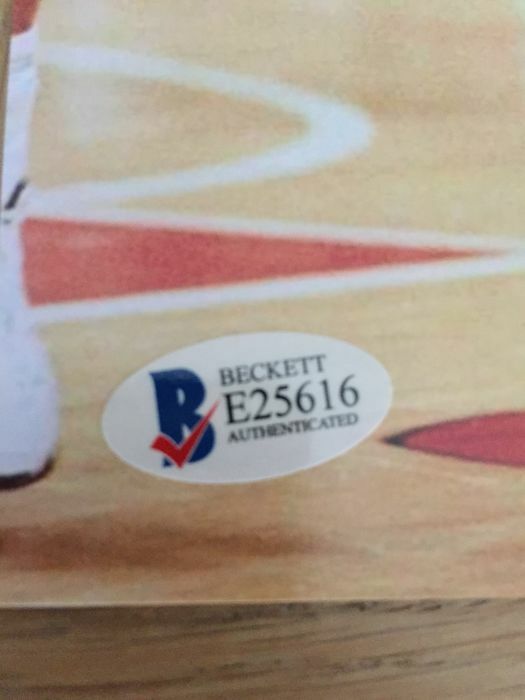 The photo autograph includes an official Beckett Authentication Services serially numbered hologram and matching COA for authenticity purposes. 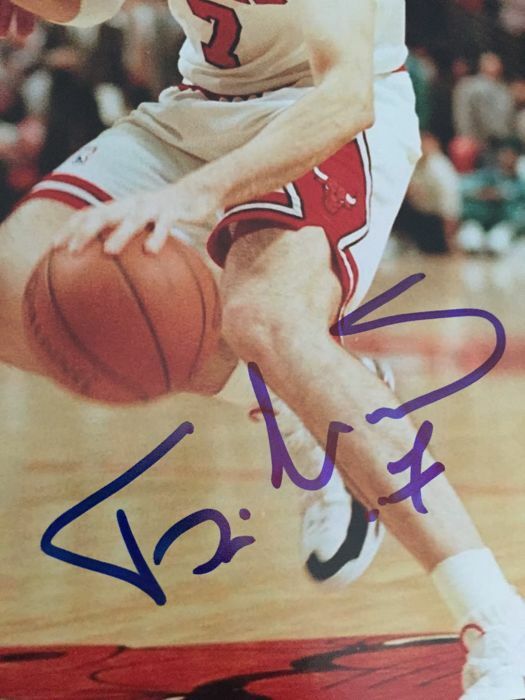 Kukoc began playing for his home town club, Jugoplastika, at the age of 17. He achieved significant success during his time with the club, winning the prestigious EuroLeague as the team recorded three winning year seasons consecutively (1989–1991). Kukoc was awarded as the EuroLeague Final Four MVP both times! Afterwards, he played for Benetton Treviso and won the Italian League championship in 1992 and the Italian Cup in 1993. He also played in the EuroLeague final in 1993, winning the EuroLeague Final Four MVP once again. 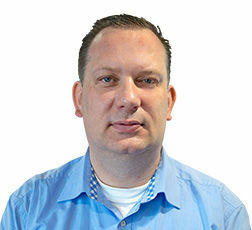 Throughout the 1990s, he won several European Basketball Player of the Year Awards. 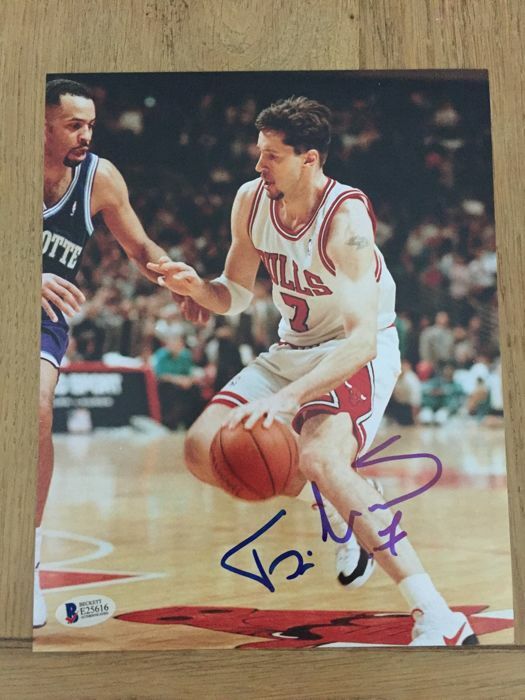 In 1994 Kukoc went to the NBA, first he played for the Chicago Bulls. Together with Michael Jordan and Scotti Pippen, he won 3 consecutive Championships. Kukoc played for Chicago, Philadelphia, Atlanta and Milwaukee. His career highlights are of the charts! Il pacco è arrivato in anticipo, l’articolo corrisponde esattamente a quanto riportato nella descrizione, sono pienamente soddisfatta! Reception impeccable, conformité au descriptif. Merci,le colis est arrivé très rapidement et dans un état conforme aux photos.pas de photos mensongères. I'm sorry to hear, you didn't receive your item yet. I send a lot of items (also to spain) and you are the first one with a delay. If you track the shipment, it's delayed by Bpost Belgium. I do hope you receive your item shortly. Even though the jersey was as it seemed and the condition from the outside it was very good, from the inside there were serious problems that the seller was not presenting them. Pode levantar este lote em mão do vendedor: Knokke-Heist (West Vlaanderen), Bélgica.